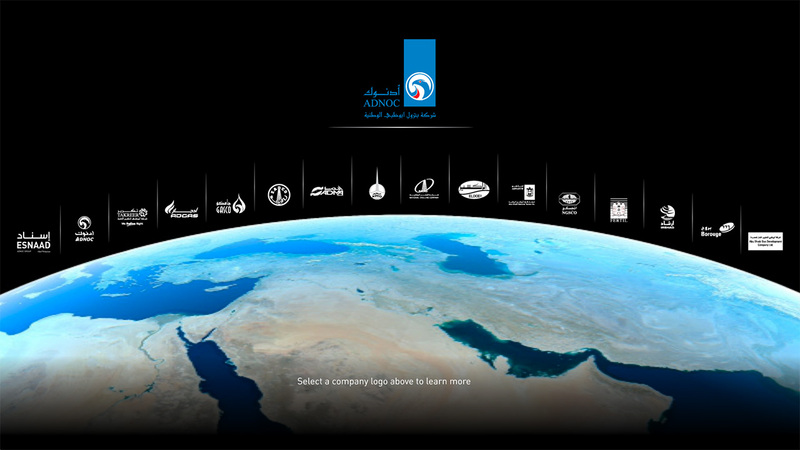 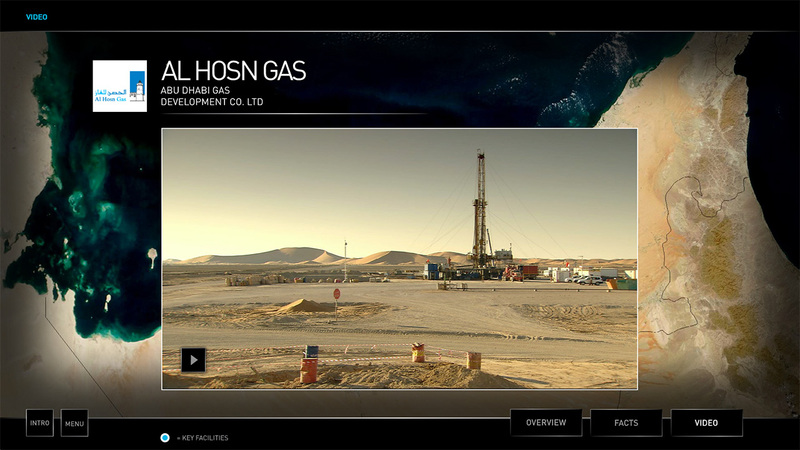 This is a touchscreen presentation acting as a showcase for each of the 16 companies within the ADNOC group. 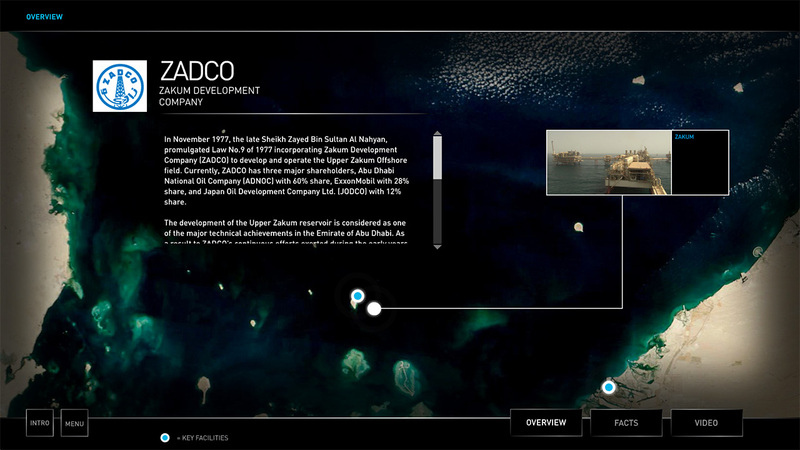 Each company is selectable by their company logo, the user is able to read and listen to an overview of the company, select key locations through an interactive map, scroll through key facts and watch an overview video. 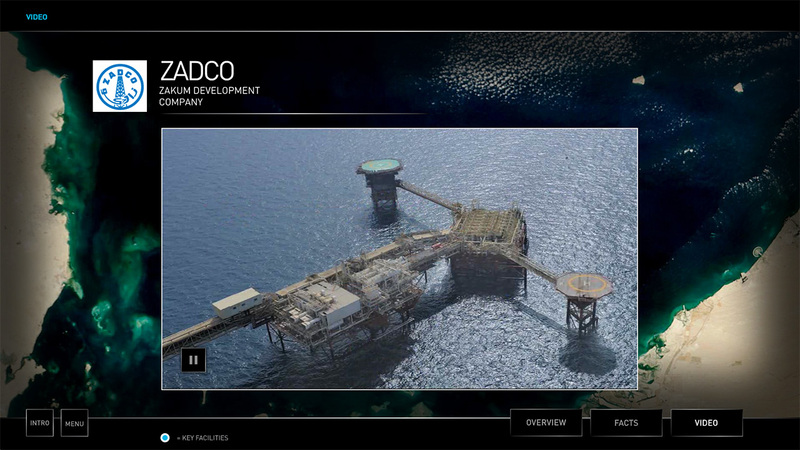 This collected a Bronze Remi award for Interactive Media at the Houston WorldFest awards in April 2013.